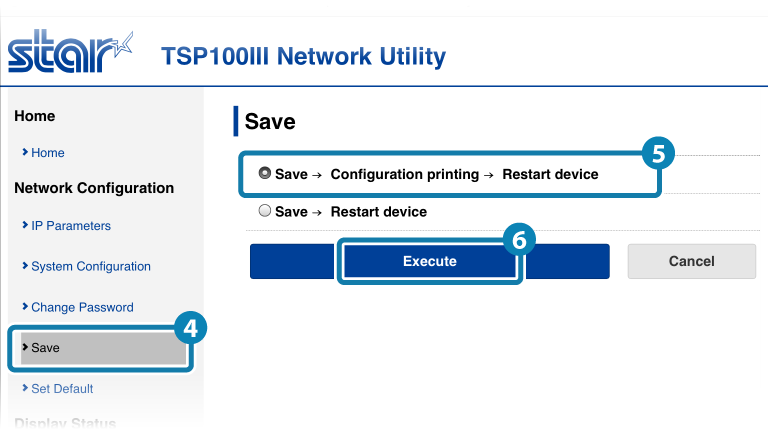 When a network failure is detected (such as when a router and access point is disconnected or when an IP address cannot be acquired due to a DHCP server error), tsp100IIILAN will automatically print out a broken link (disconnection) warning message according to factory default settings. The broken link warning message printing setting can be changed using the Web Configuration. If connection settings have already been made, they can be changed by following the steps below. 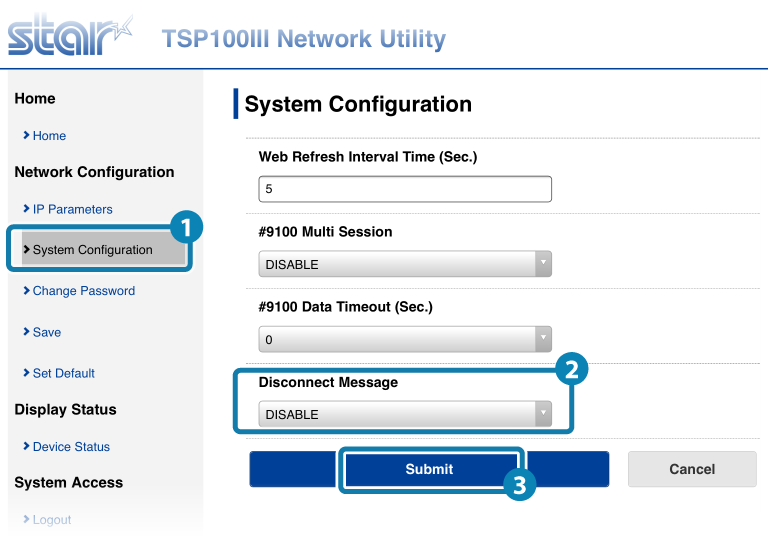 If a connection setup is not performed, refer to Connect Tablet/PC and connect before changing it from the following steps. 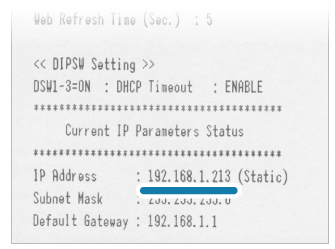 Self-print and check the IP address from "Current IP Parameters Status" that is printed out. Wait while the power of the printer is still on. Open a browser (Safari, Internet Explorer, etc. 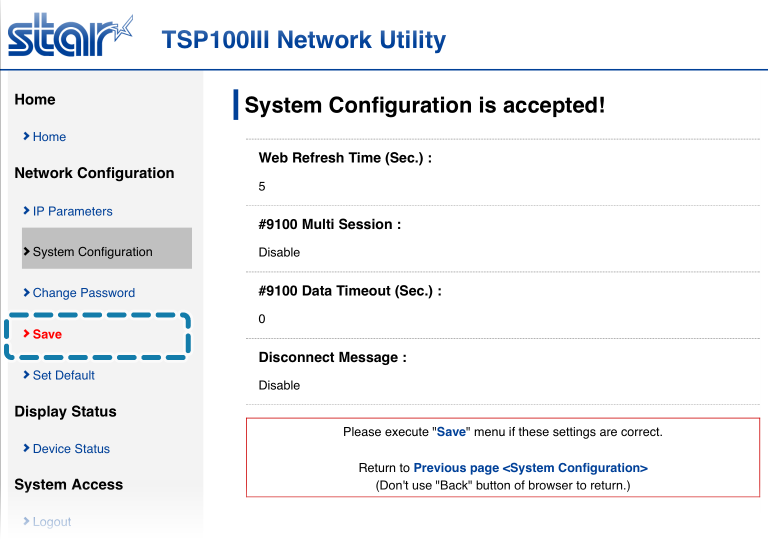 ), enter the IP address from (1) to open the Web Configuration page. From the menu displayed on the left side of the setting screen or the menu button on the upper left, select [Login] to log in. 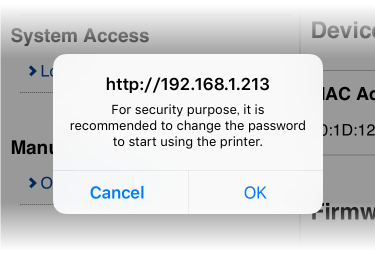 If you log in with the default password, after starting the printer, the following message will appear when logging in for the first time. Select [OK] to change the password or [Cancel] to not change the password. If [OK] is selected, a screen to change the password will open. After changing the password, return the following step. From the menu of the menu button on the upper left, open [System Configuration] , change the Disconnect Message setting, and tap/click [Submit] . The setting contents for the Disconnect Message are as follows. 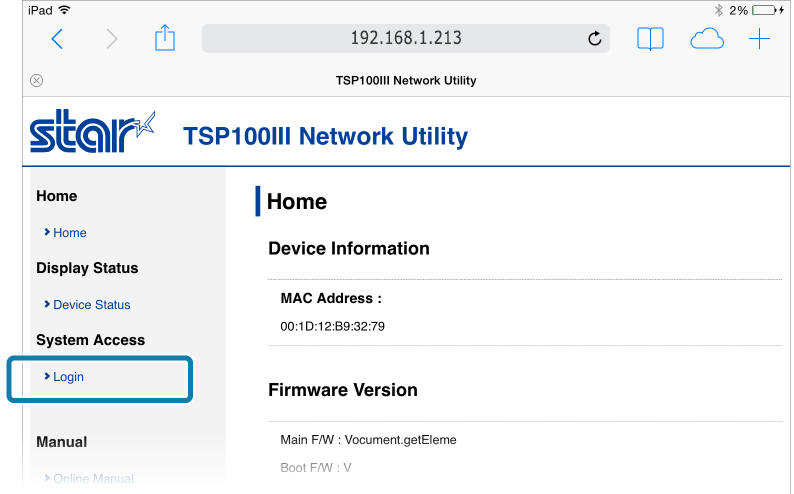 From the menu of the menu button on the upper left, open [Save] , select "Save""Configuration Printing""Restart device" , and tap/click [Execute] .